Poli, born in 1746 in Molfetta, Italy, studied classics, theology, and natural sciences at the University of Padua. 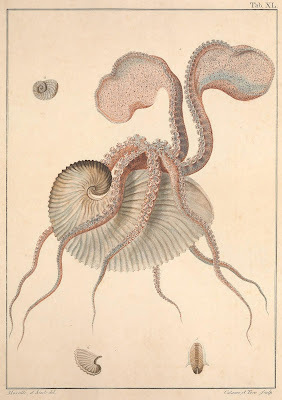 In 1774, he traveled to London during an appointment at the Royal Military Academy, where he met physician and collector William Hunter, who suggested that he study the mollusks of the Mediterranean. External morphology of a female paper nautilus (Argonauta argo) with egg case. Poli, Giuseppe Saverio. Testacea utriusque Siciliae. (1791-1827). http://biodiversitylibrary.org/page/44020354. In the midst of a turbulent time in European history, with the outbreak of the Napoleonic wars at the beginning of the nineteenth century, Poli published his groundbreaking treatises on the comparative anatomy and classification of mollusks of Naples and Sicily, complete in three volumes under the title Testacea utriusque Siciliae eorumque historia et anatome. The first two volumes were published under Poli’s supervision in 1791 and 1795, but the outbreak of civil war in 1799 delayed the publication of the third, which was eventually published posthumously in two parts from 1826-27. The first part of volume three lists Poli as the author but provides annotations by Stefano Delle Chiaje, while the second part was authored by Delle Chiaje and describes the remaining species illustrated by Poli. Shell morphology and internal and external anatomy of Mediterranean scallop (Pecten jacobaeus). Poli, Giuseppe Saverio. Testacea utriusque Siciliae. (1791-1827). http://biodiversitylibrary.org/page/44020302. Testacea utriusque Siciliae is not only exquisitely illustrated with engraved colored plates featuring matching line-drawing versions with labels, but it also provided significant and novel insights about mollusks. While most of his contemporaries studied mollusks only through the lens of their shells, Poli recognized the importance of the information available in the soft tissues and documented molluscan morphology in great detail. Many of his observations were new to science; Poli was the first author to identify structures on the mantle edge of some bivalve mollusks as eyes. 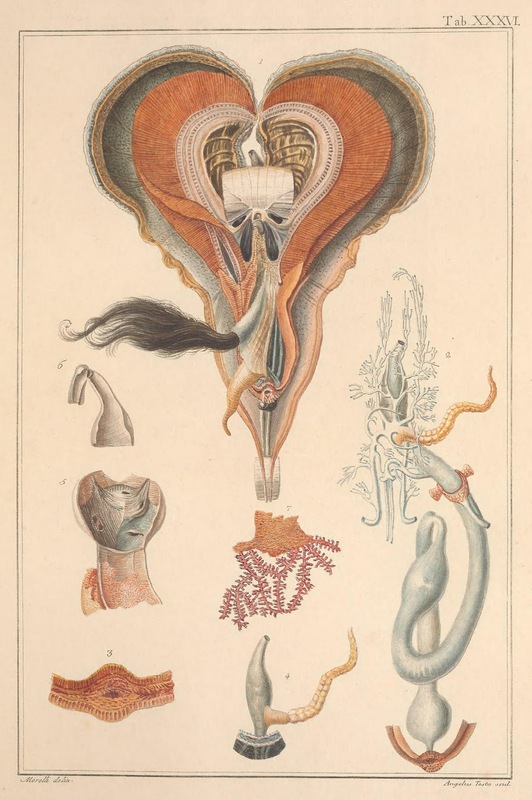 Testacea utriusque Siciliae was also the first treatise on molluscan biochemistry and physiology. 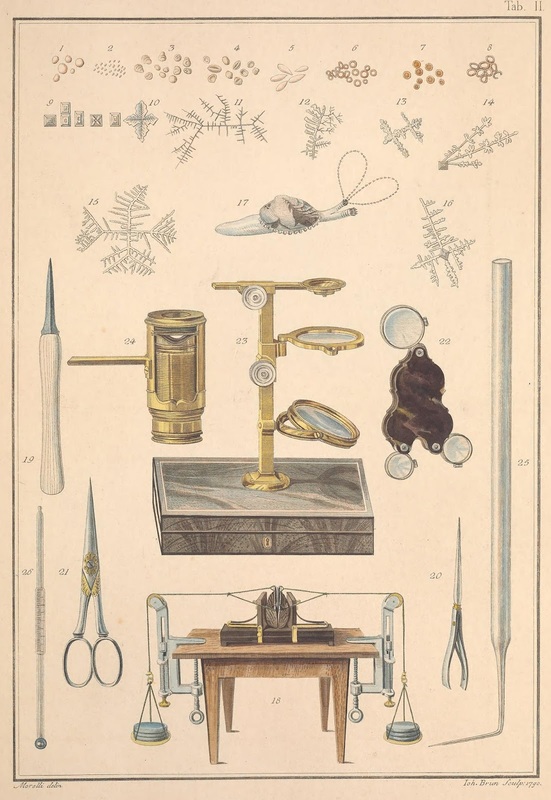 A variety of tools, developed by Poli himself, were used to study reproduction and digestion, measure the contractile force of adductor muscles, trace blood flow and study blood composition, and describe the crystalline structure and chemical composition of shells in mollusks. Instruments used by Poli, including dissecting tools, microscopes, and tools to measure the contractile force of adductor muscles in clams. Poli, Giuseppe Saverio. Testacea utriusque Siciliae. (1791-1827). http://biodiversitylibrary.org/page/44020202. Finally, Testacea utriusque Siciliae was the first work to propose a classification system for mollusks based on soft anatomical characteristics. The predominant classification system of the day was based on the structure of the shells. External morphology and dissections of the Mediterranean pen shell (Pinna nobilis). Poli, Giuseppe Saverio. Testacea utriusque Siciliae. (1791-1827). http://biodiversitylibrary.org/page/44020338. 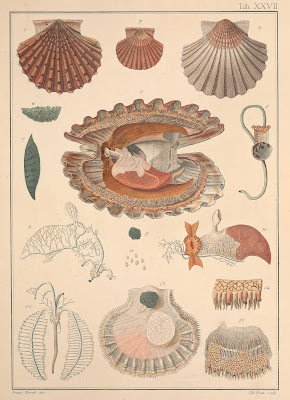 In short, Testacea utriusque Siciliae established molluscan comparative anatomy as a distinct discipline, secured Poli’s position as the father of malacology, and provided an essential foundation for the work of future malacologists. You can view this monumental publication for free in BHL, digitized by Smithsonian Libraries. Information for this post based on the essay “At the Dawn of Malacology: The Salient and Silent Oeuvre of Giuseppe Saverio Poli” by Ilya Tëmkin from Natural Histories (2012). This post was first published on the Biodiversity Heritage Library blog on August 19th, 2015. What book are these images from? I remember seeing similar prints of insects. Is there a book i can find of all these images ?